An open jam featuring R&B,Soul,Motown, 60's Pop jam with the Jeff DeCoix Blues Band. Full Kitchen and full bar, open late! 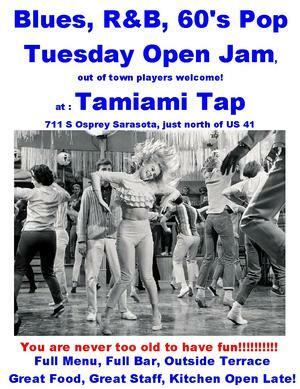 Come and play, dance or just listen to great blues, soul, R&B music every Tuesday. Be there or be square! Out of town players welcome.